Sawan or shravan month is one of the most auspicious month of hindu calendar. During this period people perform all religious ceremonies and also observe fast as this is considered as very fruitful time. The Sawan festival or swing festival is one of the important festival of this month. The sawan month brings showers of rains and greenery all around. 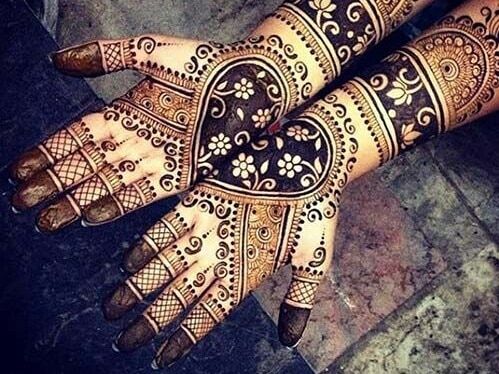 Ladies also love to apply mehndi in their hands. 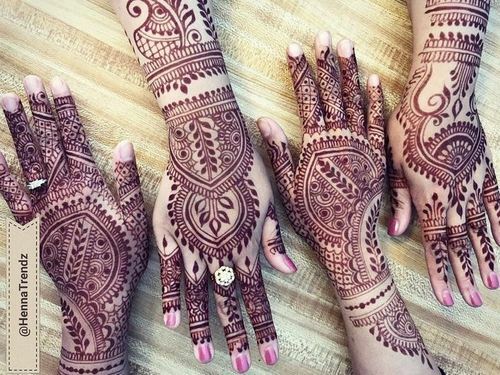 These days theme mehndi designs have become much popular then traditional mehndi motifs. 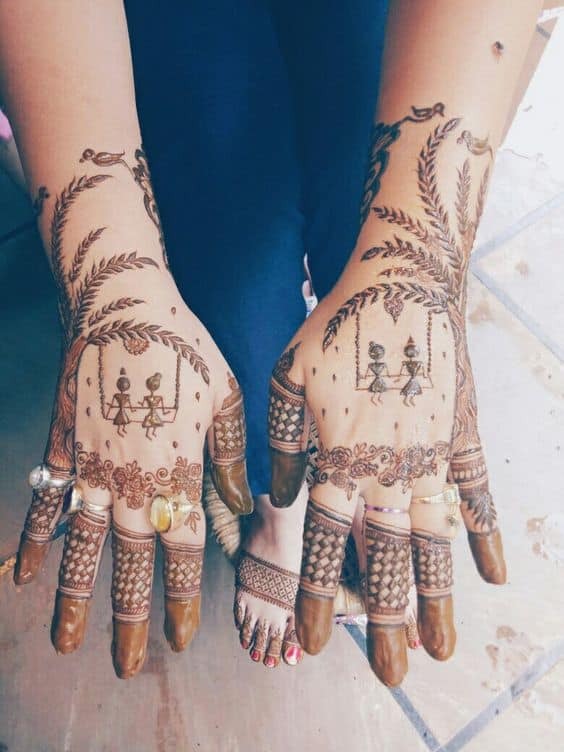 Here in this post about latest sawan mehndi designs 2018 we are giving you ten trending ideas you can try this auspicious month. 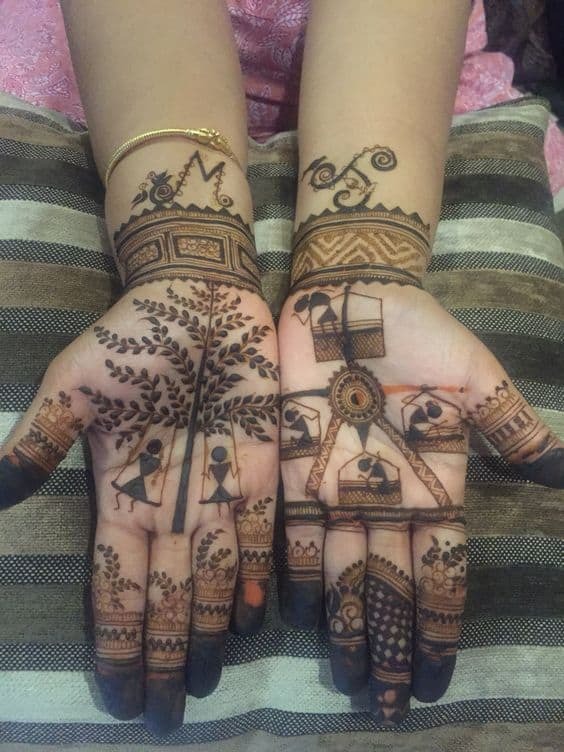 This beautiful intricate mehndi design is from Mayuri which elaborately depicts ladies swinging in joy. The trees at the corners are the added charm to this design. Sawan month is about swinging from the tree and enjoying the nature’s treat. 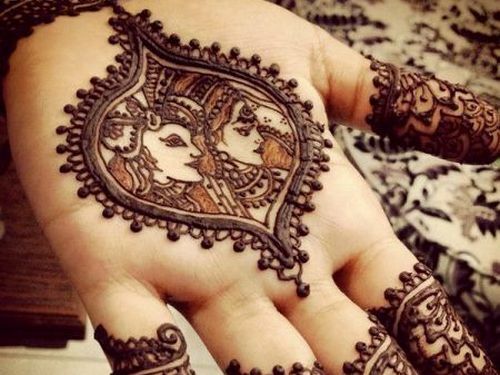 Adding this to your mehndi design will give you a beautiful glimpse of this dreamy world everytime you see your palm. If you are a lord Shiva devotee then sawan month is one of the most important time for you so that you can get more closer to God. 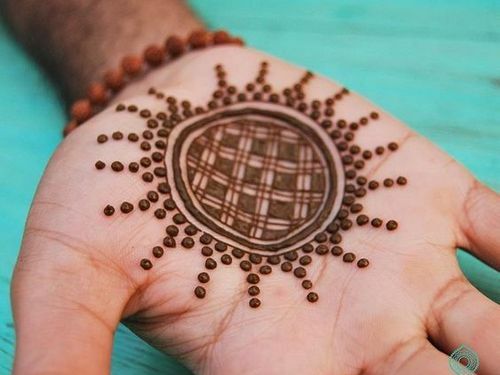 A simple and meaningful design for your hands. 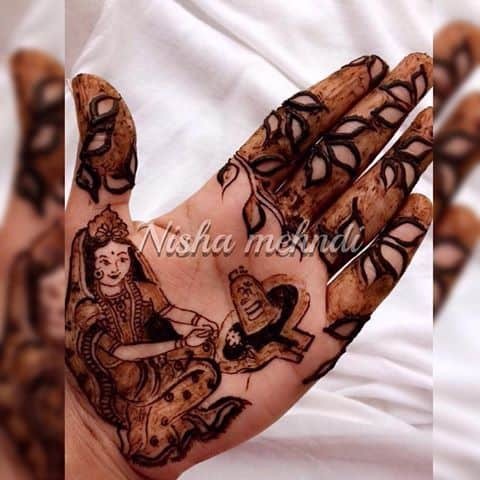 Ancient tales of Lord krishna and Radha depicted through a beautiful mehndi design. Its a pious month and people observe fast and perform prayers. 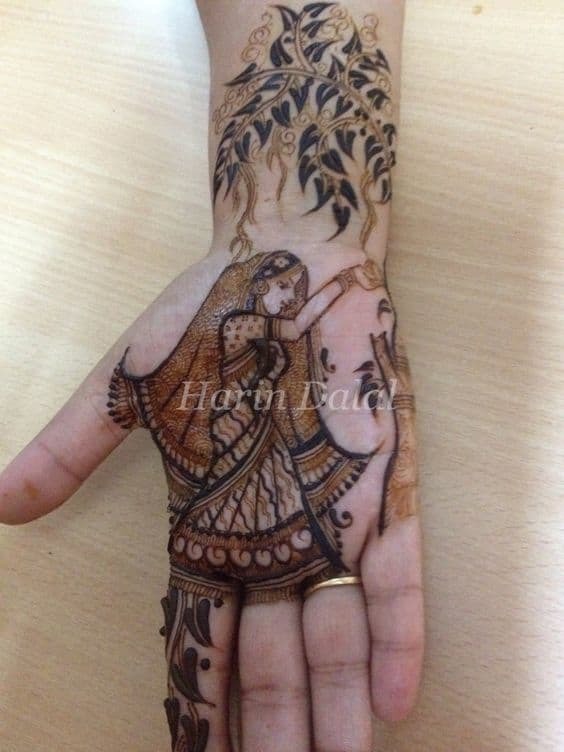 In this mehndi design the artist shows that how lovingly goddess Parwati offers prayer to Lord shiva. 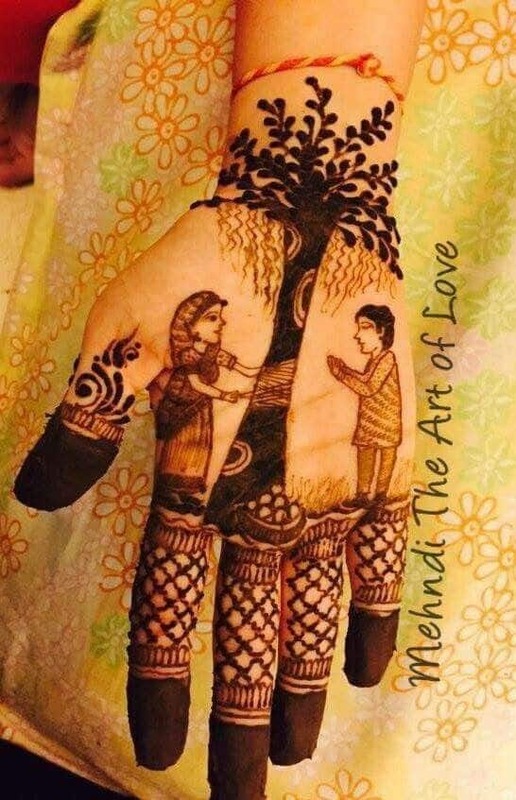 Mehndi art is about expressing ourselves. Through your art you can tell the world your beliefs that you inherit from your culture and upbringing. How we pay respect to our sacred trees and how important they mean to us. 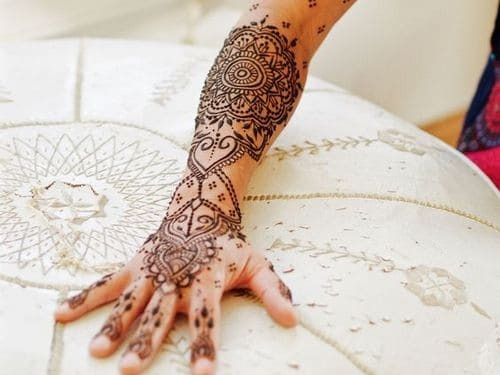 If you have a deep love for traditional Indian mehndi style. 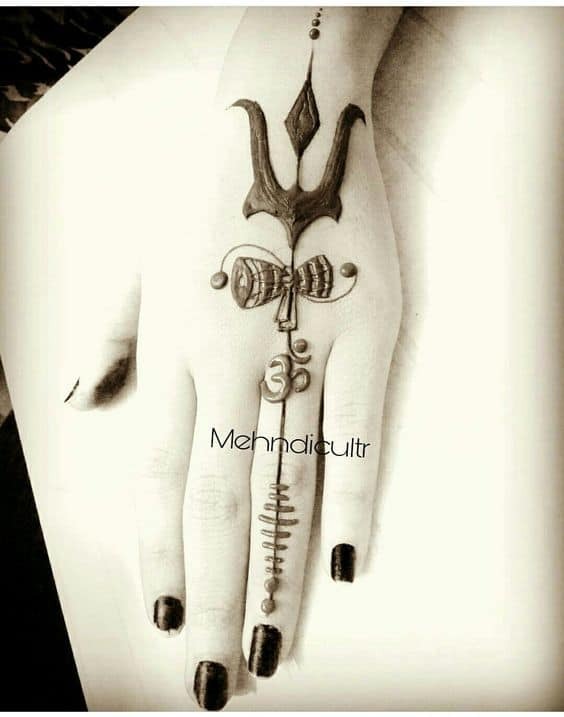 Then carry it with this unique style. 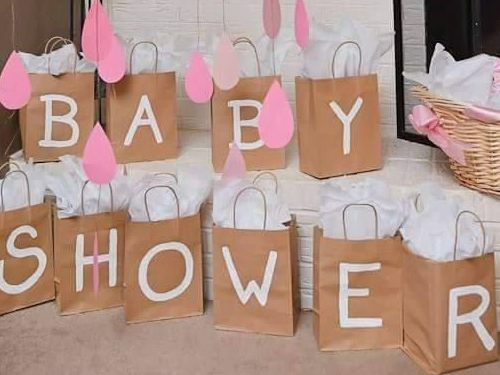 It got its name from the curly pattern it has in it. 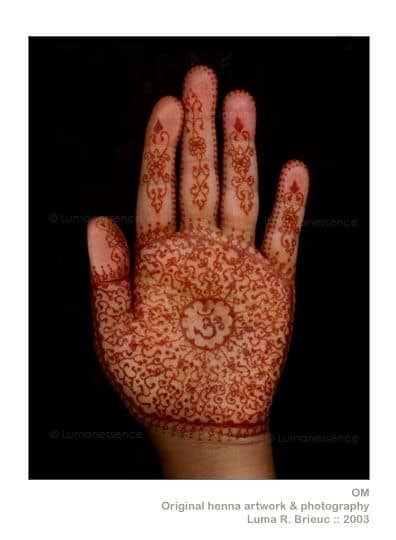 The swirly pattern around the Om symbol looks so divine. One of the most followed ritual of shravan month is to offer water to shivaling. 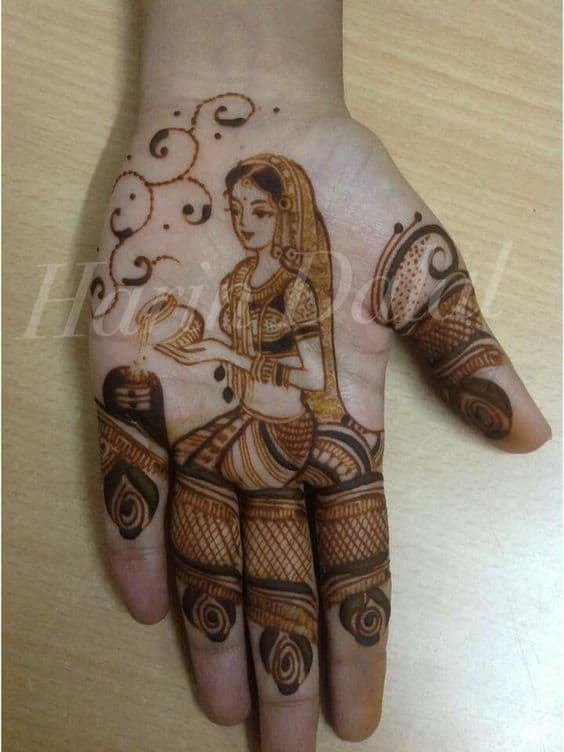 A elaborate mehndi design depicting it. People fast and offer prayers to various sacrd trees. 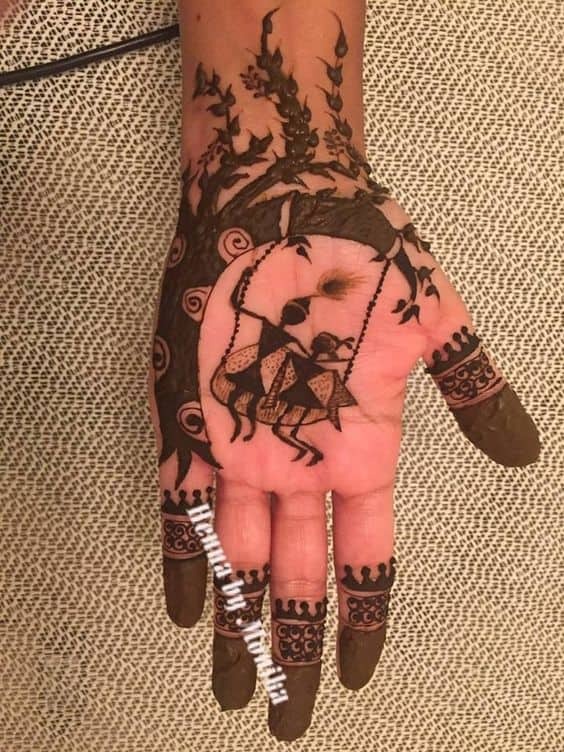 A beautiful glimpse of Indian tradition shown through this mehndi design. 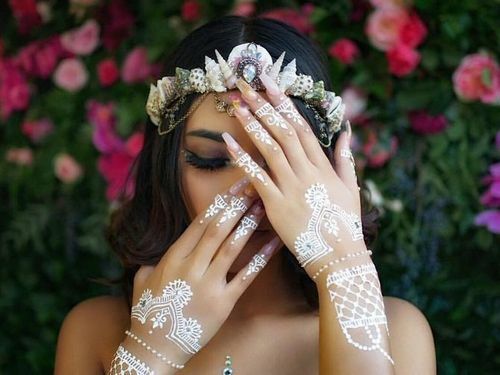 These are the most beautiful and latest sawan mehndi designs for this year.